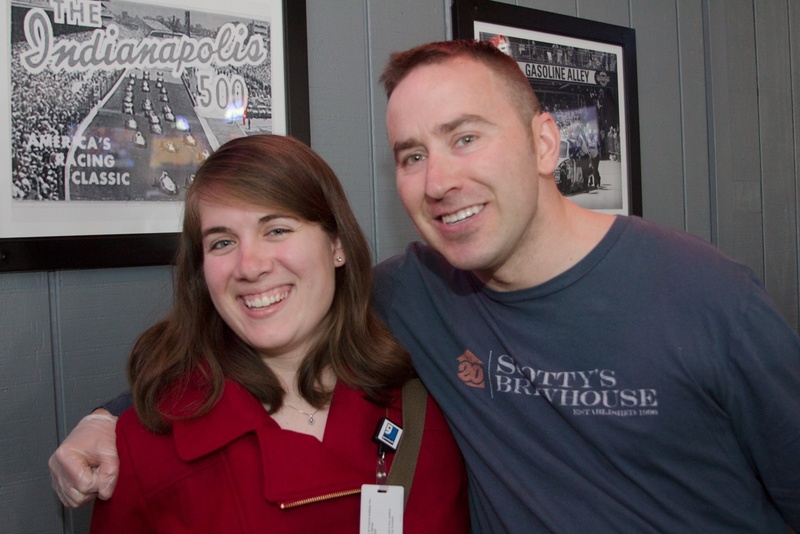 After experiencing a traumatic brain injury, Aaron Yates has trouble storing long-term memories. 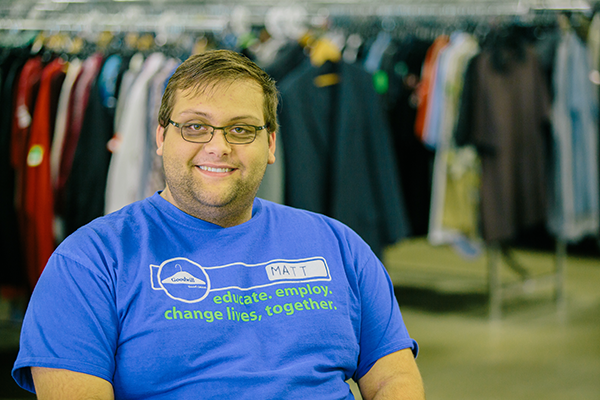 In 2016, he started working with Goodwill of Central & Southern Indiana’s Disability Services team to find a job. Passed by Congress in 1990, The Americans with Disabilities Act (ADA) is a civil rights law that protects individuals from discrimination based on a disability. The ADA requires covered employers to provide reasonable accommodations to employees with a disability and imposes accessibility requirements on public accommodations. Chrissy Wilkins was referred to Goodwill by Indiana's Vocational Rehabilitation Services program last year. 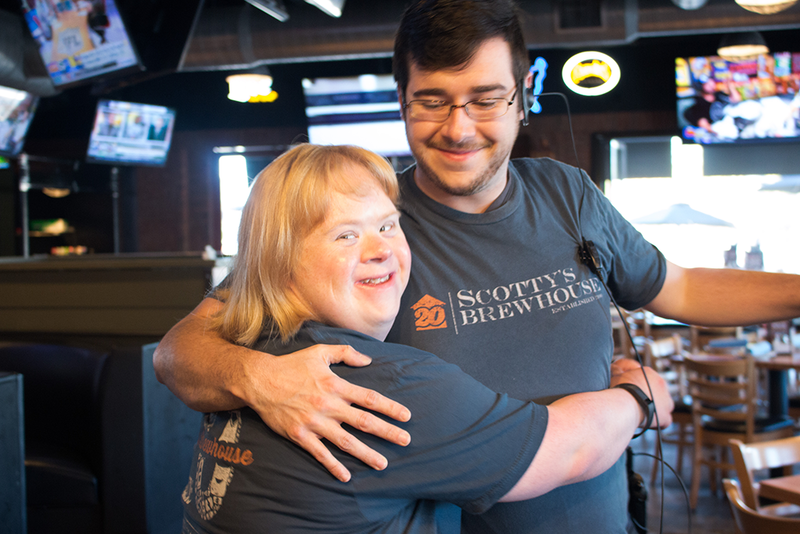 She was born with Down syndrome and has worked for New Hope Services in Jeffersonville since graduating from high school in 1994. Chrissy was already taking swimming and art classes at the Clark County YMCA when she expressed an interest in taking on a housekeeping role there. In the last five or so years, Ralph McClury has come full circle at Goodwill. Much has happened along the way, and his road was not easy. Ralph comes from humble beginnings, growing up in Kentucky with 17 siblings, working on the family farm and picking tobacco to make ends meet. He volunteered for the Air Force in 1973 after graduating high school, but chronic kidney issues led to an honorable discharge. 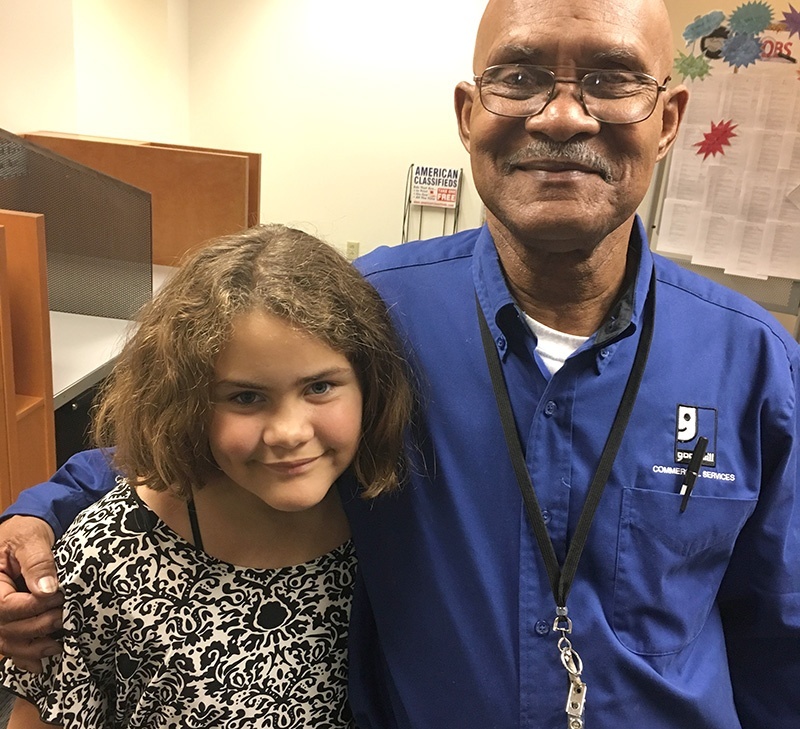 Ralph then moved to Indianapolis and found employment as a security guard during the day and bused tables in a downtown restaurant at night. It was at this job that Ralph began a long and unhealthy relationship with alcohol. Though he lost those jobs, he managed to obtain employment as a maintenance man at his apartment complex for six years. Soon after, he lost his wife and kids as well. He continued a lifestyle of drinking and drug use for many years, moving back and forth between Indianapolis and Kentucky. In 1996, Ralph served 24 months in the penitentiary. He was released on parole in 1998, but soon fell to drugs and alcohol once again, living “on the run.” The law finally caught up with Ralph, and he was put on parole again, but this time, he finished parole and started to head down the right track. He was living with his girlfriend in Tennessee at the time, working as a tobacco picker when he was the victim of a farming accident in which his foot was crushed by a 3,000-lb. wagon. Ralph was bedridden for almost a year, unable to work due to this injury. In 2005, Ralph and his then-girlfriend welcomed their daughter, Lakin. Before Lakin turned one year old, her mother was arrested and still remains in prison today. Ralph attempted to raise his baby girl as a single father, but as drinking and drugs came back into Ralph’s life, he lost custody. He knew it was time to take control of his life and get back on the right path. Being a veteran, he reached out to the Hoosier Veterans Assistance Foundation (HVAF) as well as Goodwill for help. Due to a criminal history and his disability, Ralph was having a very difficult time finding employment.